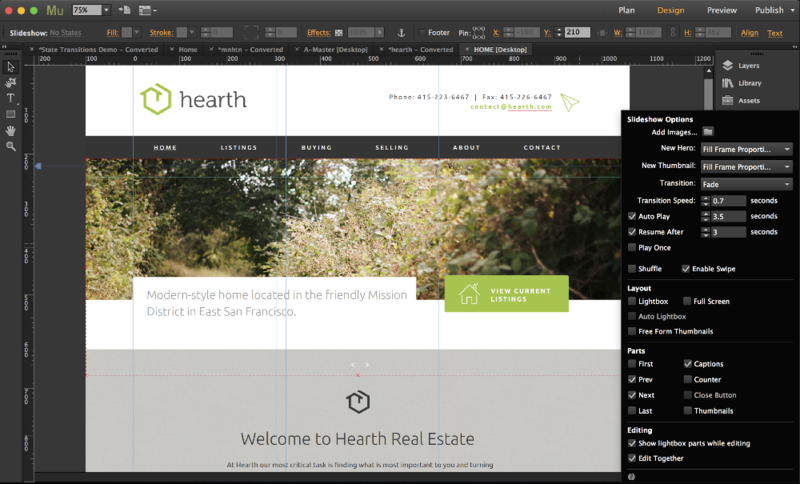 This article will focus on removing and replacing images in the built-in Adobe Muse slideshow widget. First make sure that inside Muse you are viewing your slideshow widget. In addition, make sure that you have your images ready to be placed into the slideshow. 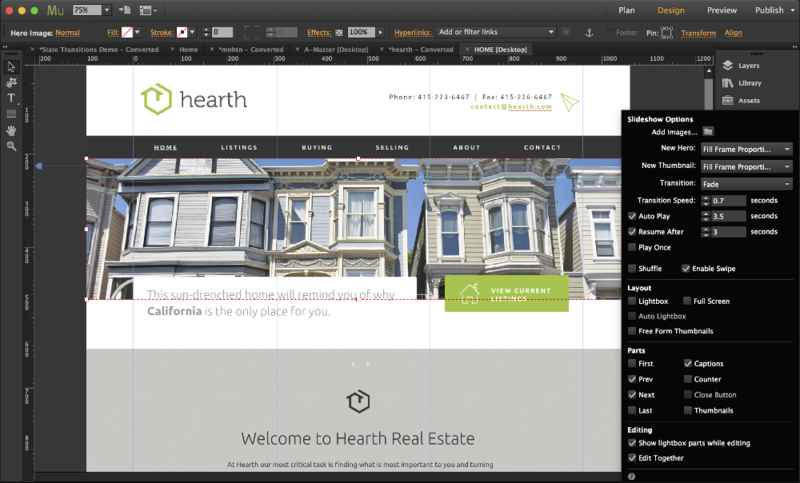 Select your slideshow; in this example we will be using the Hearth Theme to replace the images that come with the template with our own images. 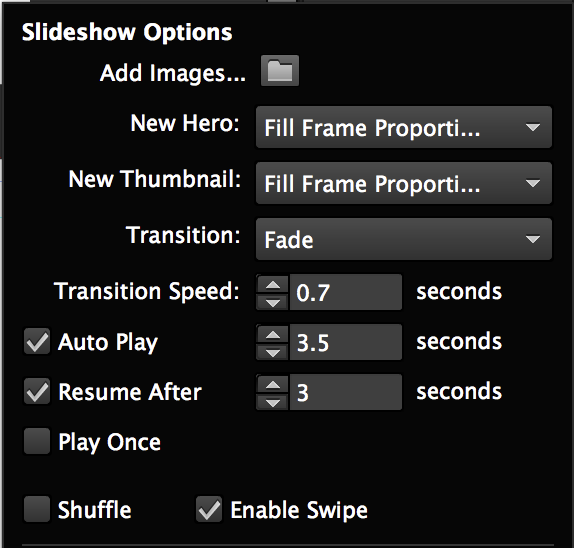 Once you have the slideshow selected, open up the widget Options panel. Inside this panel select 'Prev' and 'Next' from the 'Parts' section. Locate the two arrows that appear after selecting the 'Prev' and 'Next' buttons from the option panel. To make it easier, drag them into one place on your canvas so they are easy to locate. It doesn't matter where you place them as we will hide them again after changing our images. The two buttons on canvas can be used to navigate between image on the slider by pressing on them while inside Muse. 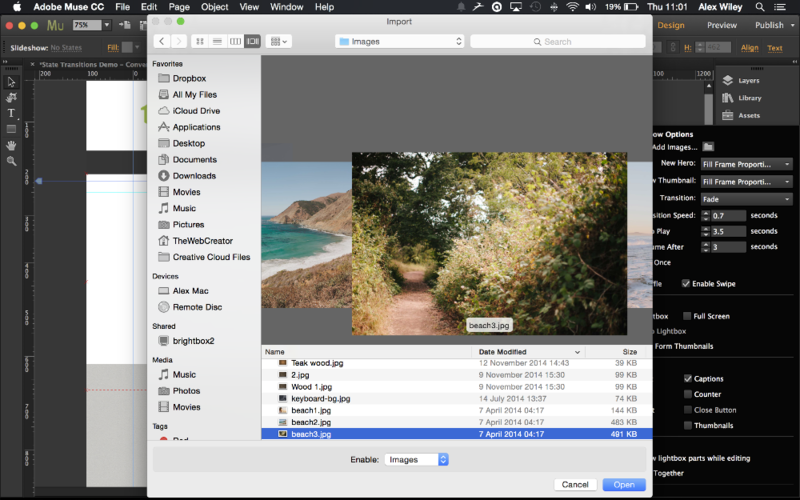 Select one of the images in the slider (the one that you wish to delete for example), once the selection box has appeared around the outside, press backspace/delete on your keyboard and the image will be deleted. Once the image has been deleted, go back into the Options panel. From here select the small folder icon, this will bring up your explorer/finder where you can select the new images to add to your slideshow. You're all done! You can now use the widget Options panel to deselect the 'Prev' and 'Next' buttons so that they no longer appear in preview.